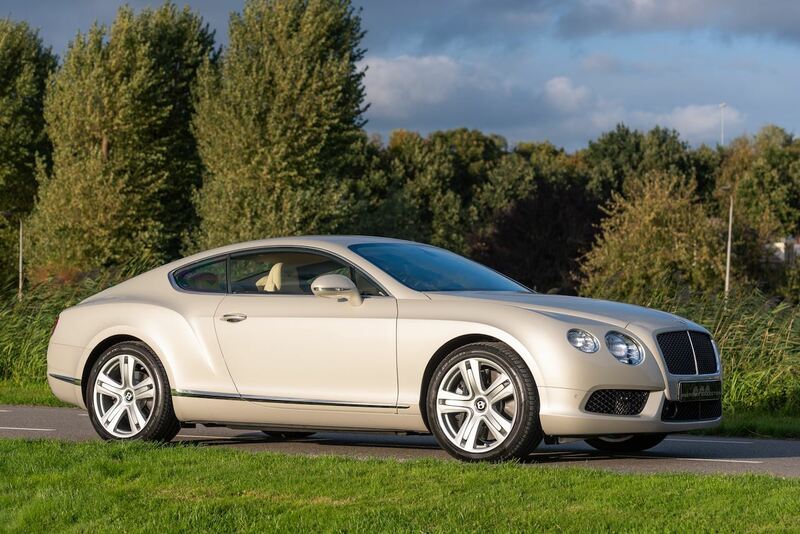 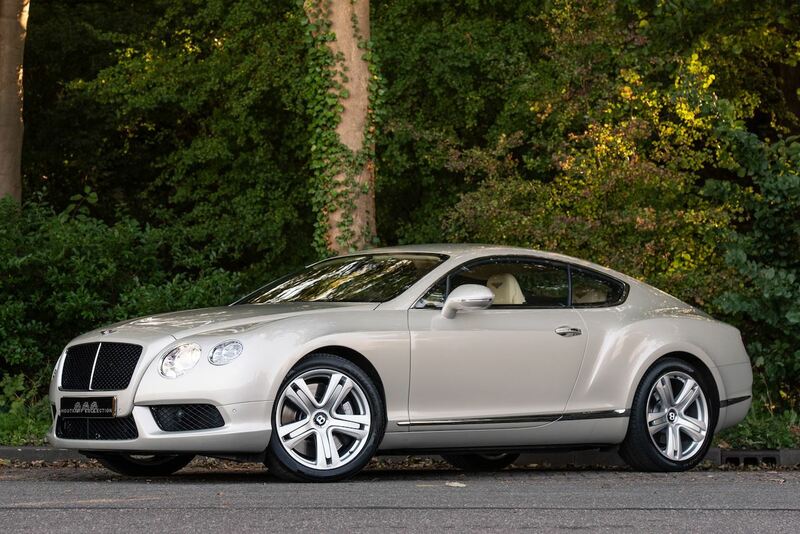 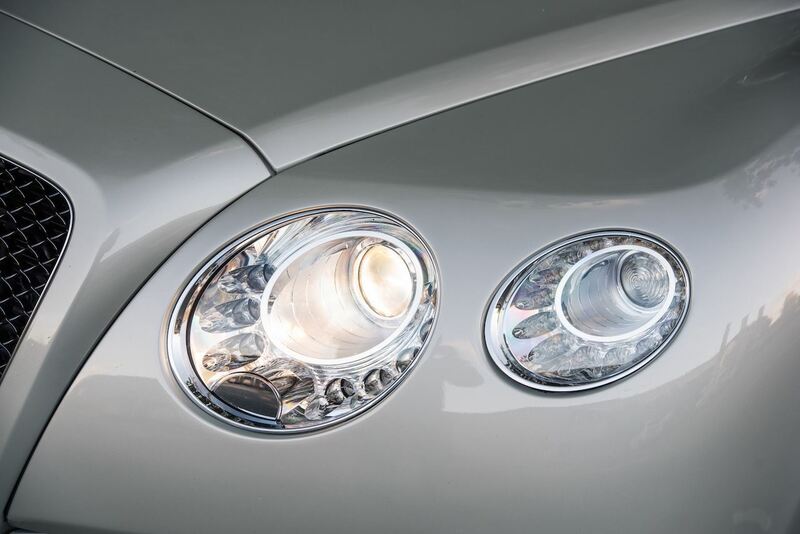 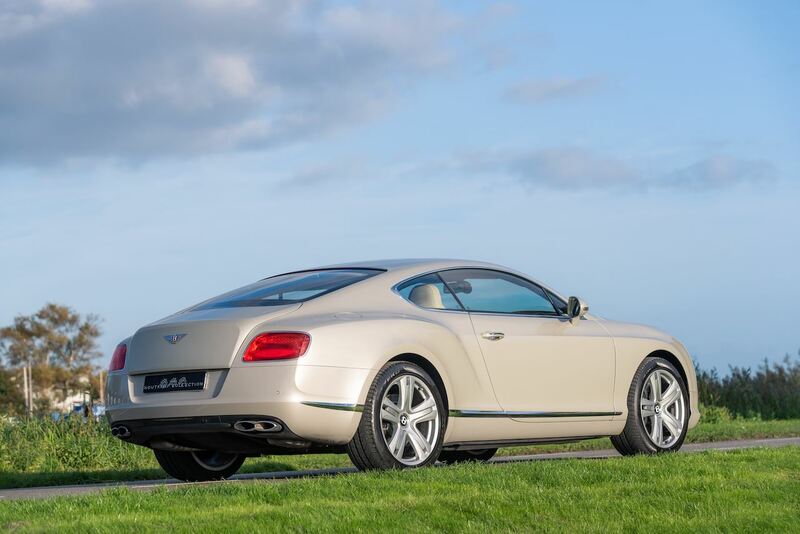 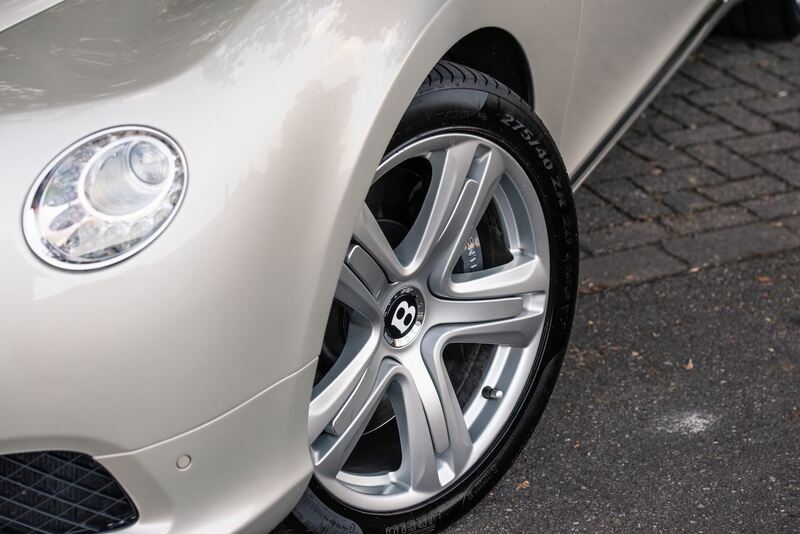 Almost a fifteen years ago, the first modern Bentleys reinvigorated the marque, taking the line from the days of the dusty Arnage and Azure and catapulting it into the world of celebrity with the chic Continental GT coupe and GTC convertible, and the companion Flying Spur sedan. 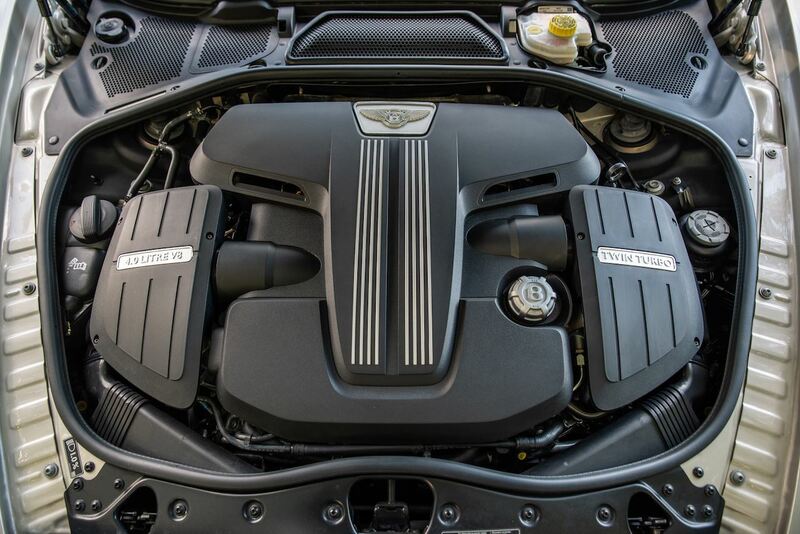 With awesome performance, all-wheel drive, and unimaginable handling for their size, the Bentley two-doors return once more for the 2013 model year—this time, with a more efficient powertrain available, a new twin-turbocharged V-8 with almost as much horsepower and performance, but markedly better fuel economy, than the W-12 that still defines the Continental lineup. 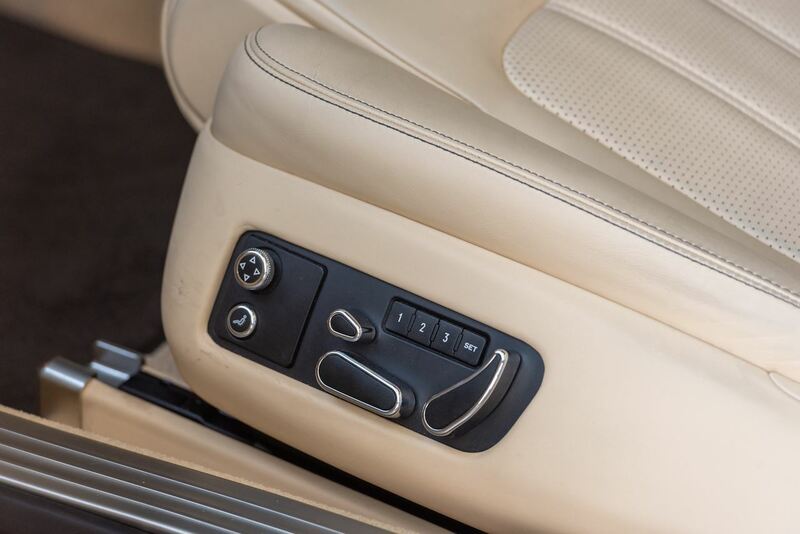 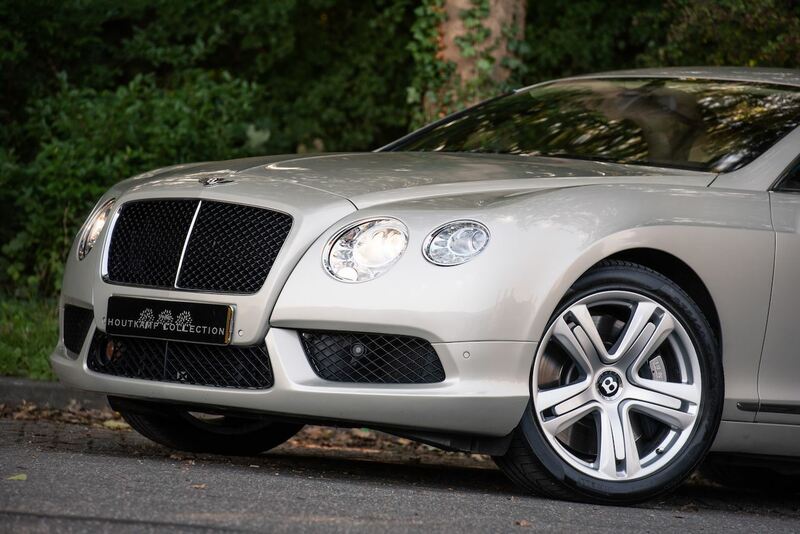 This particular car, is finished in Silver colour with an extremely beautiful Beige interior. 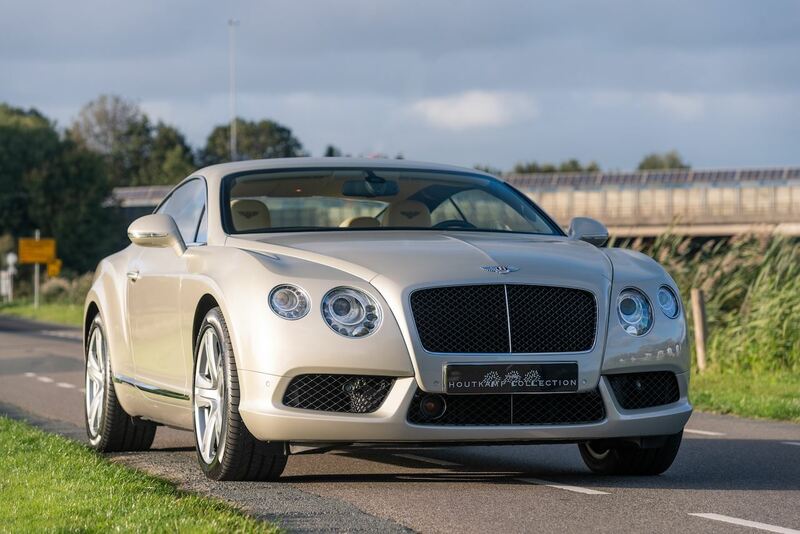 The car is newly delivered in Holland at the 11th of November 2013. 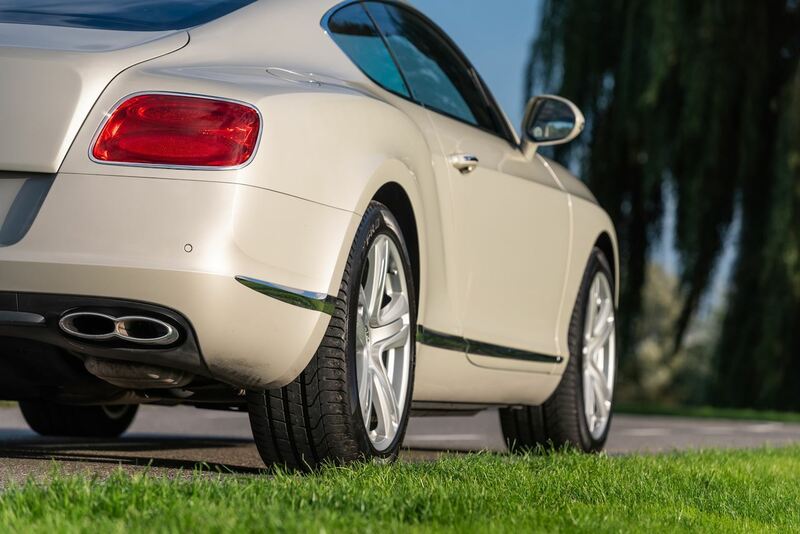 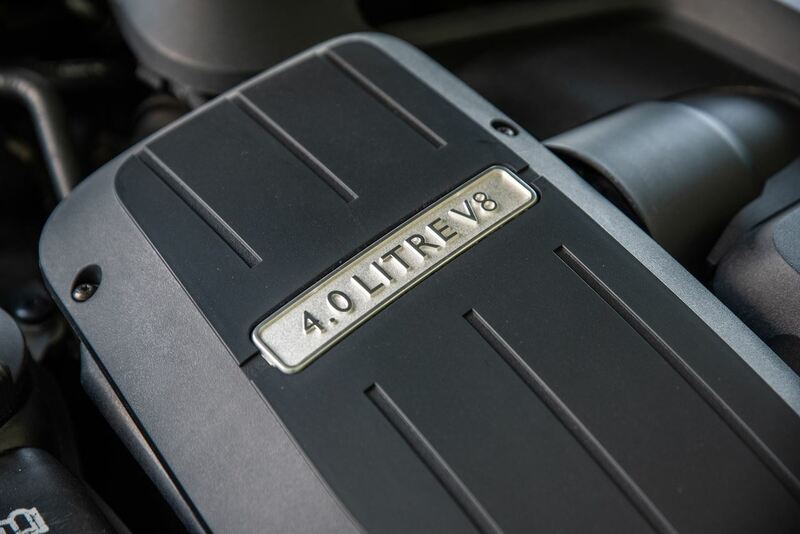 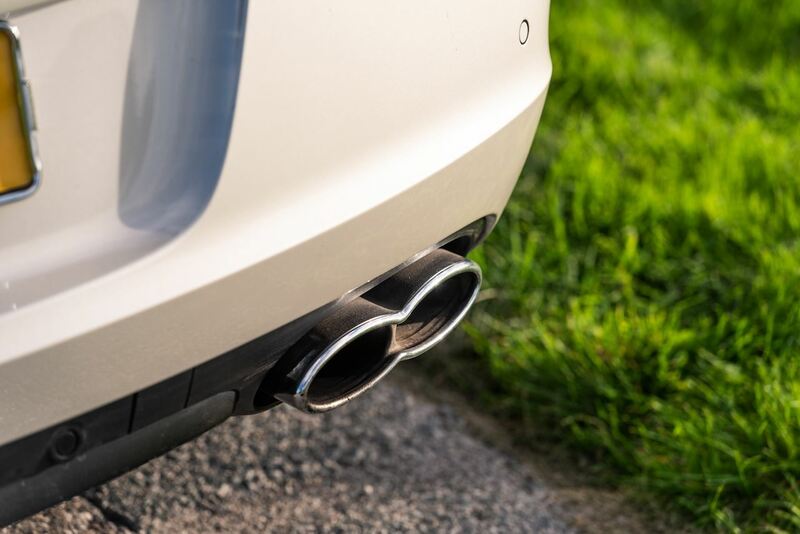 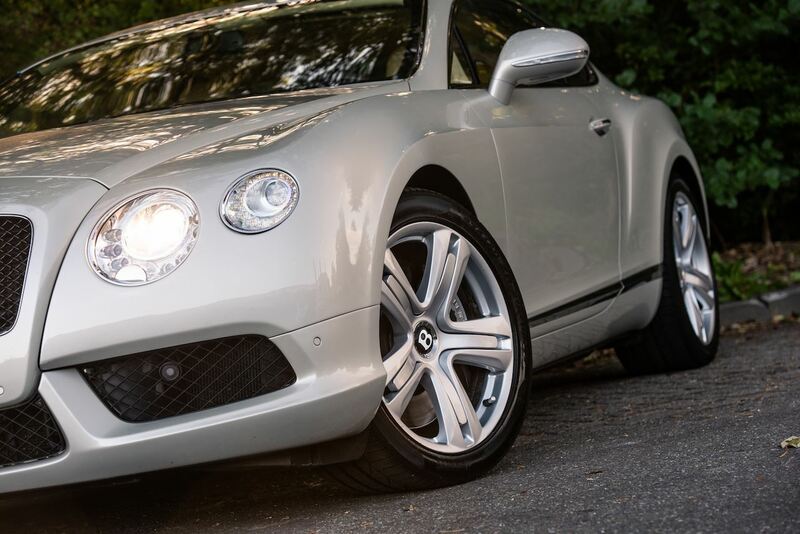 The Bentley has been regularly maintained and remains in generally estremely good condition, commensurate with its pretty low mileage of only 63,000 since its first registration. 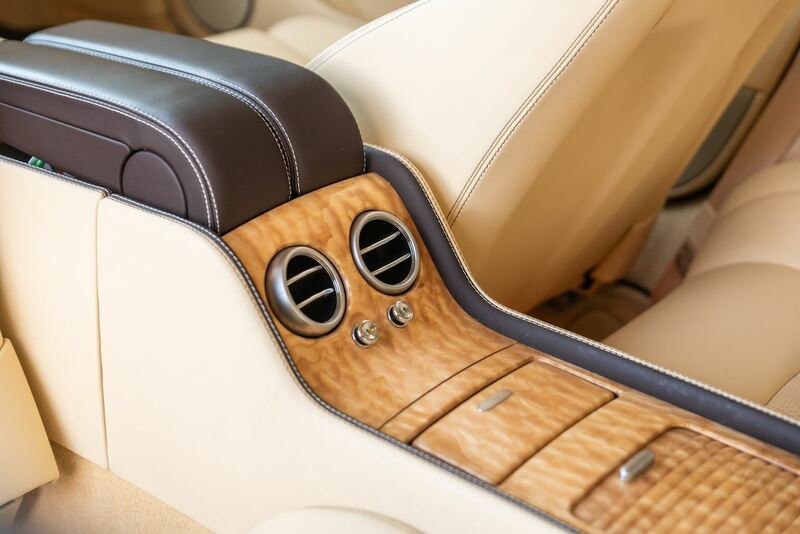 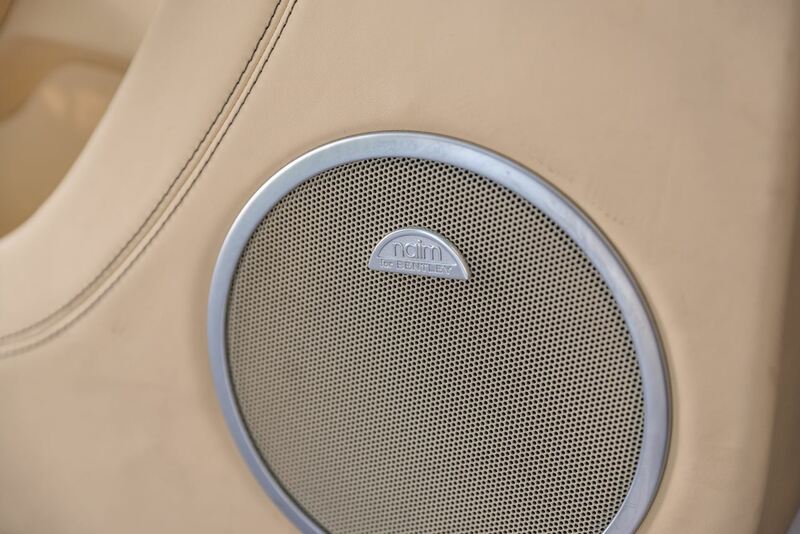 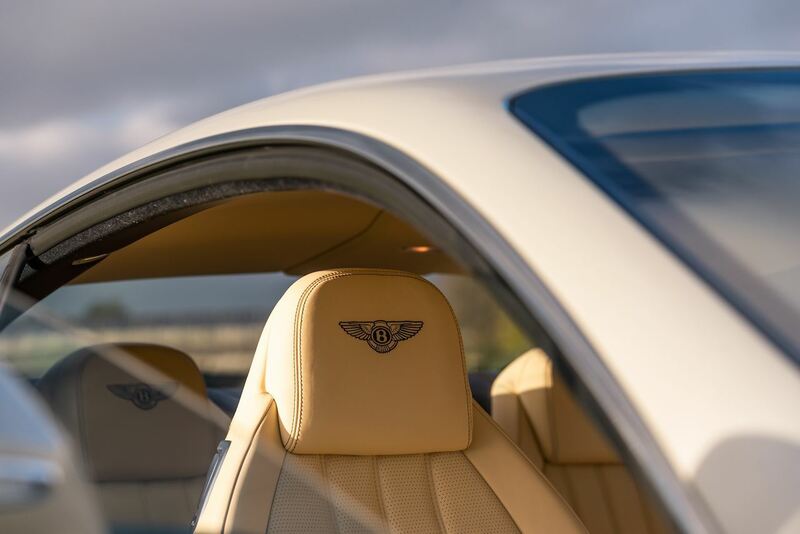 The interior of the Bentley carefully walks the line between modern and classic with plenty of contemporary touches in its handcrafted approach. 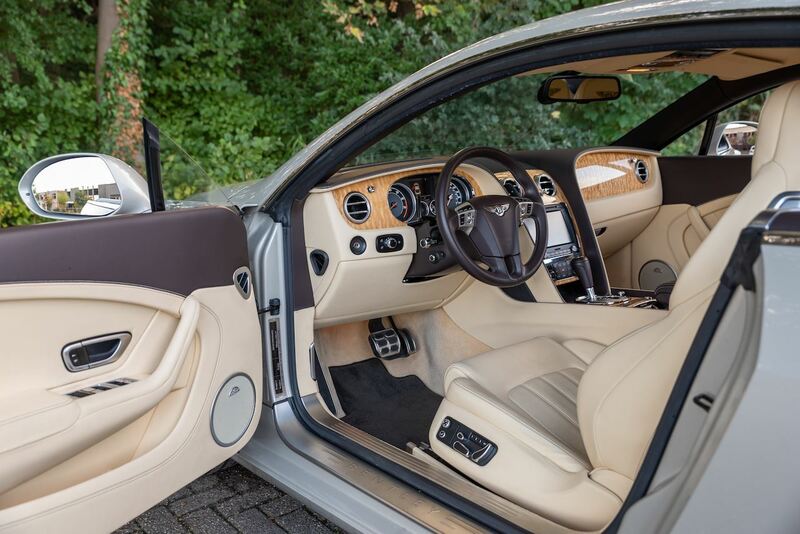 The Bentley has the optional Elegant Specification package with 21-inch wheels, adaptive cruise control, a rearview camera, a premium Naim sound system, ventilated and massaging front seats and a valet key. 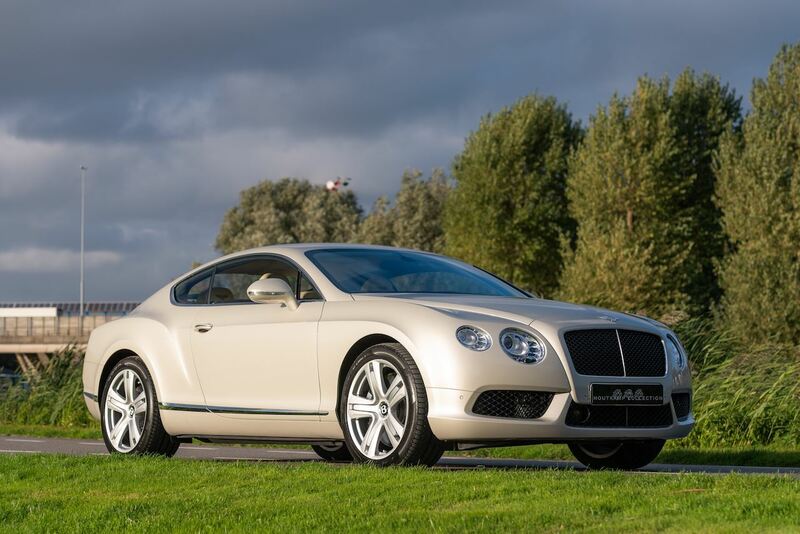 Then automatic xenon headlights, LED running lights, a concealed rear spoiler, automatic wipers, heated and power-folding mirrors, front and rear parking sensors, heated 14-way power front seats with memory functions, a power tilt-and-telescoping steering wheel, dual-zone automatic climate control, premium leather upholstery, wood veneer trim and Bluetooth. 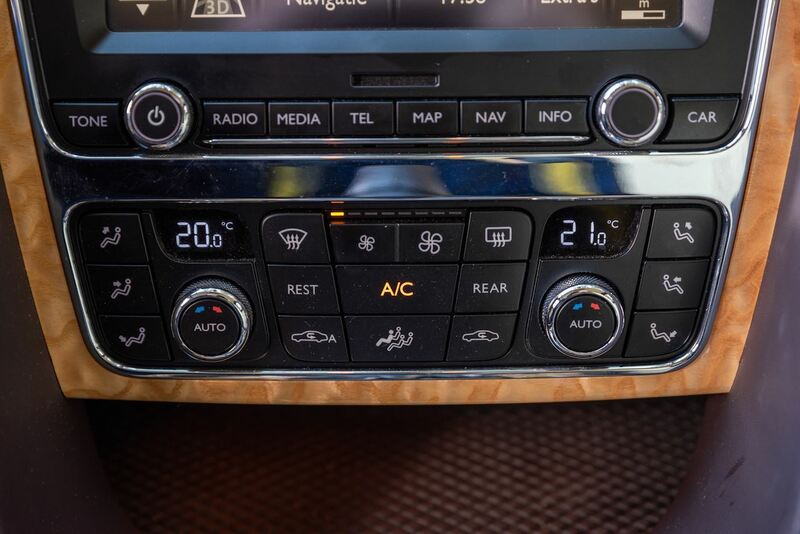 The navigation system displays beautifully rendered Google Maps on an 8.0-inch touchscreen, which is navigation taken to the next level, according to us. 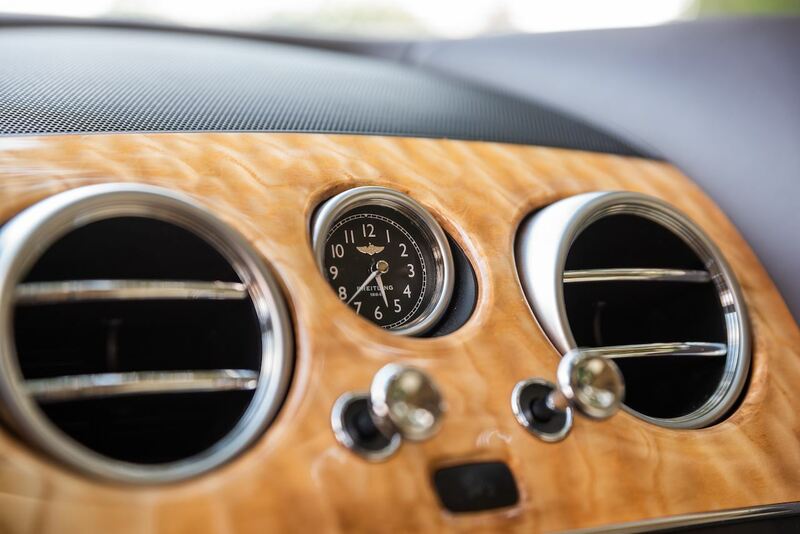 The interiors of the Bentley are in superbly presented condition. 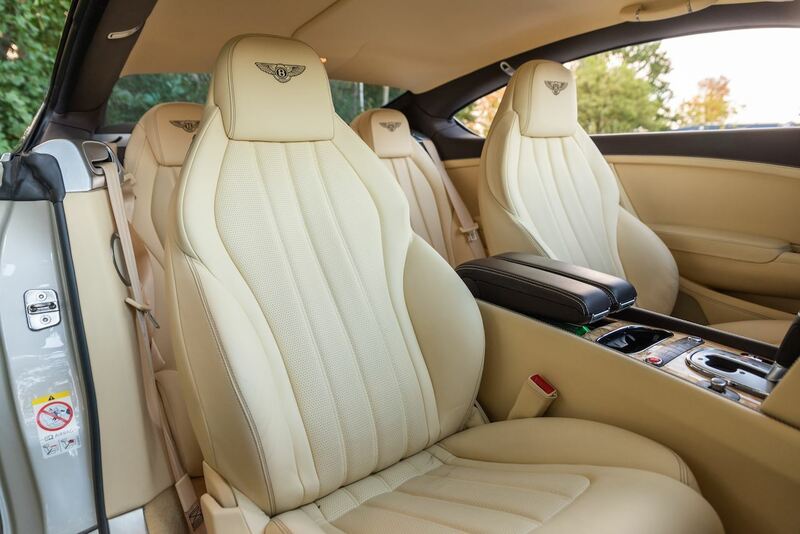 Front seat comfort is excellent and high-tech convenience contrasts with old-world charm, however, keeping the Continental GT competitive with its contemporaries. 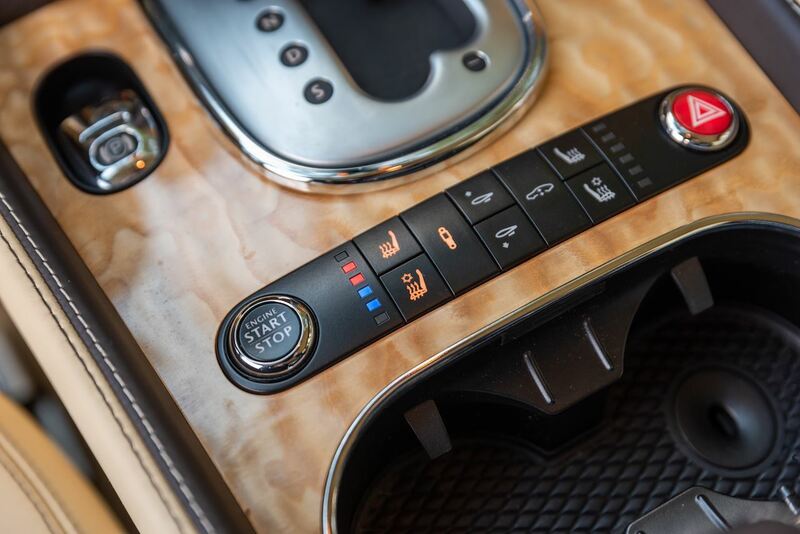 The infotainment touchscreen interface is clear and its operation intuitive, and the instrument panel features a sharp digital display flanked by legible analog gauges. 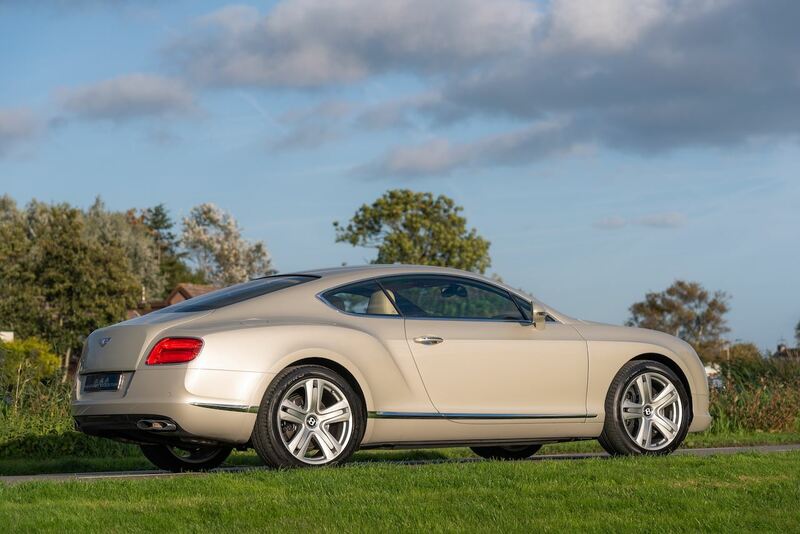 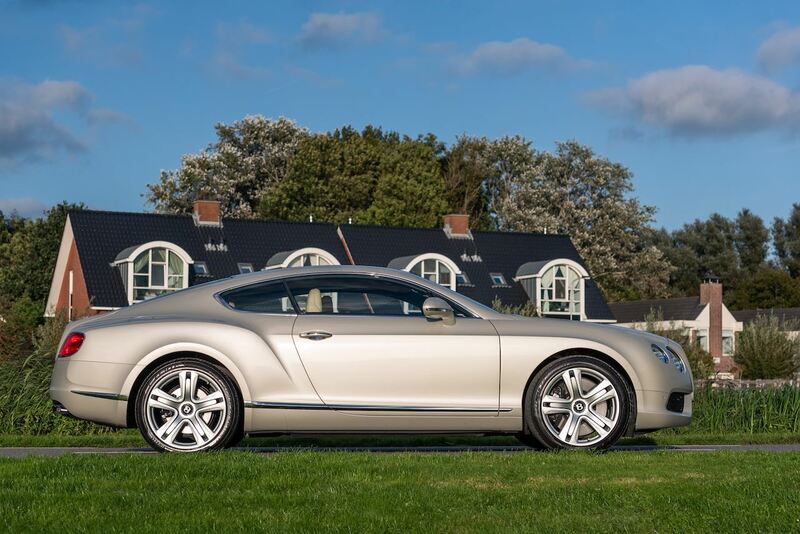 Considering the Continental GT’s size and mass, the car has sublime road habits. 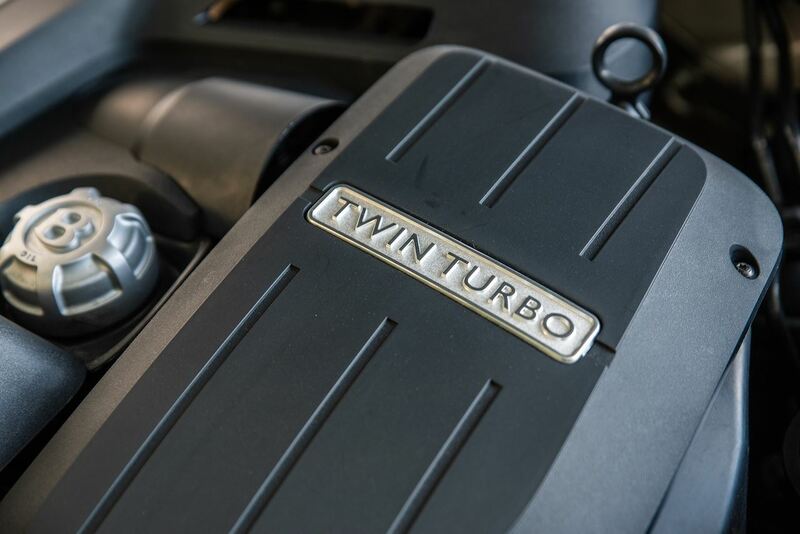 Press the start button, and the V-8 clears its throat with a heartwarming exhaust rumble that’s almost American, in the best, highest sense, the result of careful tuning. 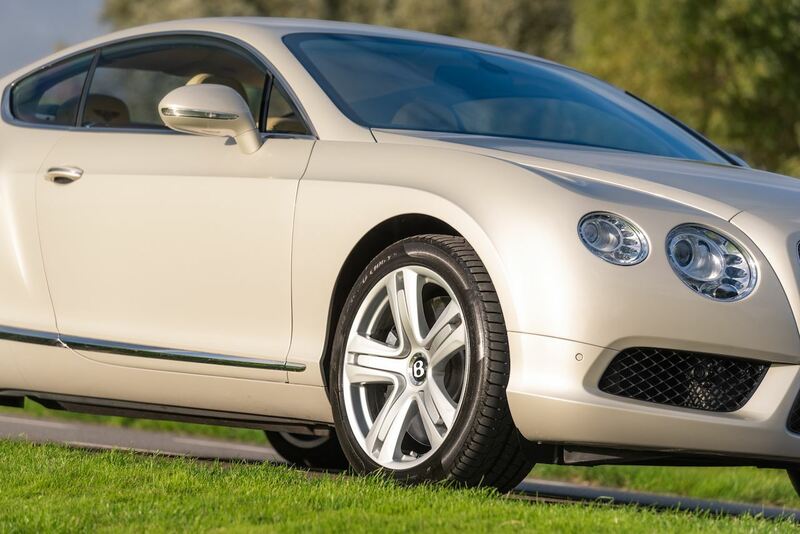 The remarkable thing about the Bentley is how normally it drives. 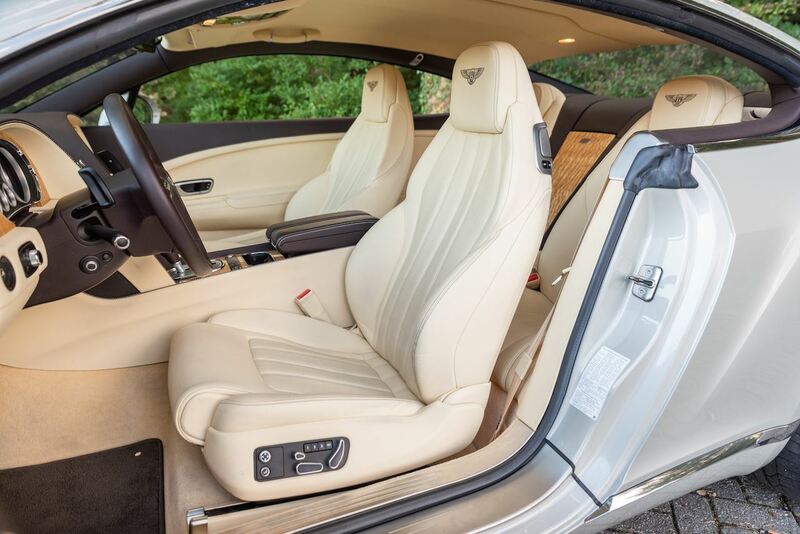 You may be disappointed if you’re expecting an exotic event car for weekends, but if you’re looking for an exquisitely crafted automobile for your daily drive or weekend road trips, this car is for you. 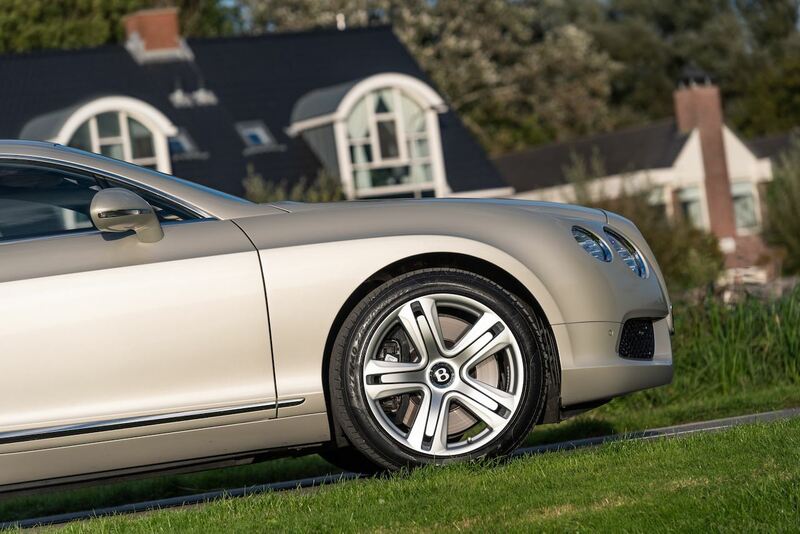 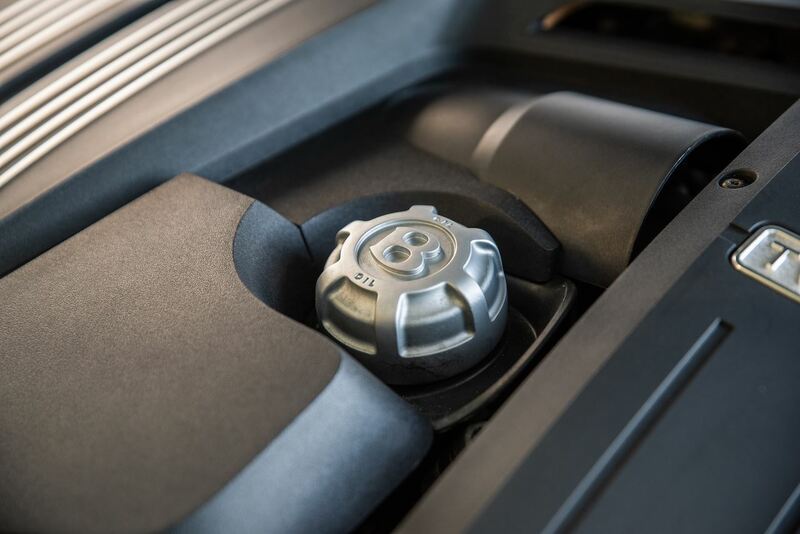 Its superior visibility, buttoned-down ride and composed handling make driving both effortless and involving.